Every Communion Sunday is a Can-Do Sunday at Plymouth . The Can-Do Cart is where Plymouth members deposit their donations of canned or dry goods which help stock the shelves at the Coconut Grove Food Pantry. 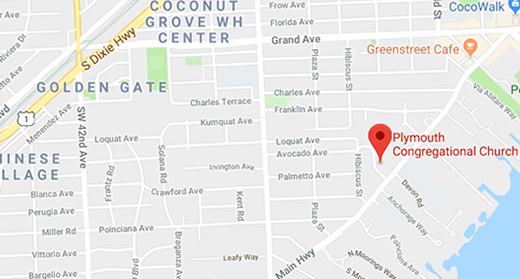 The Coconut Grove Food Pantry is a long standing source of food assistance for Coconut Grove residents in need of help. When we support the Food Pantry, we support Coconut Grove residents in need. For more information, please call the Church Office: 305-444-6521.